Terrific news. Let's hope it works for many things! 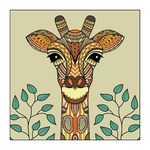 Very cool project, especially considering the questionable future of giraffes. Keep up the admirable work.